Oct 03, 2017 (LBO) – Sri Lanka plans to commercialize the natural gas discoveries in one of the gas blocks in the Mannar Basin by 2021, Petroleum Resources Development Secretariat (PRDS) said in a recently launched “Petroleum Exploration Development Plan”. “The economic analysis of these two discoveries indicates a very competitive gas price and about 11 oil and gas companies including few major exploration companies have already expressed their interest for this block and the Government expects to license this block by early 2018,” PRDS said. It says, the government has opened the Block M2, which contains two natural gas and condensate discoveries namely Dorado and Barracuda shows a combined potential for reservoir capacity in excess of 2 TCF (Trillion Cubic feet) of natural gas and 10 million BBL (barrels) of condensate. Furthermore, PRDS says it is planned to expedite the exploration in Cauvery and Lanka Basins through diversified licensing methods. “If all these exploration attempts would be successful, it is expected to initially result in the replacement of a significant component of the imported distillate with domestic gas in our power generation mix, with subsequent application in both the transport and other sectors,” PRDS said. The Sri Lankan government is trying to promote the use of clean fuel in that nation, including for power generation. The Least Cost Long-Term Generation plan approved by the Public Utilities Commission of Sri Lanka, the electricity sector regulator, includes 4800MW of Natural Gas power plants to be added to the national grid in 20 year period which comes handy if the plan of PRDS implemented timely. PRDS said it plans to formulate a natural gas policy aimed at all sectors with export potential and new business avenues. 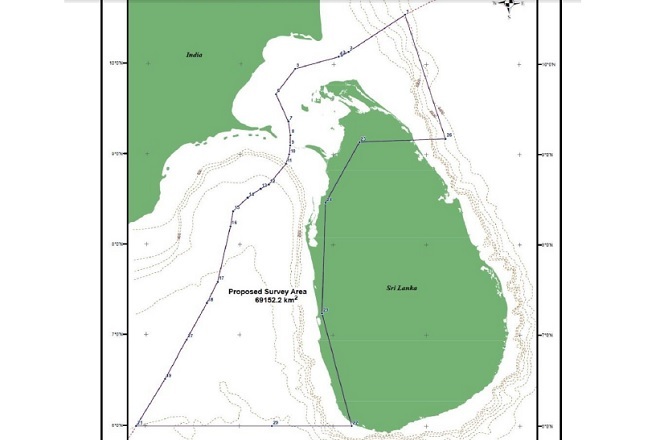 In addition to the discoveries that have been already made, PRDS says that the Mannar basin has sufficiently thick and mature sedimentary deposits that may yield high-quality oil and natural gas which would be adequate for the next sixty years. “Initial studies of well data and regional studies indicate that the source rocks have the potential to generate 5 billion barrels of oil and 9 trillion cubic feet of natural gas,” PRDS said. The availability of local natural gas will also help insulate Sri Lanka against the fluctuations of imported oil and coal into the foreseeable future and moreover towards energy security and environmental protection, it said. During 2008 – 2015 a sum of US 26 million dollars has been spent on petroleum exploration activities for local capacity building and procurement of local goods and services by the operator of block M2 in Mannar (ex-Cairn SL 2007-01-001). Nearly 17 local suppliers transacted US 18 million dollars services during this period demonstrating a slow emergence of a new industry.